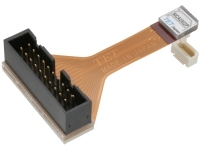 The series are using widely as emulator connector. 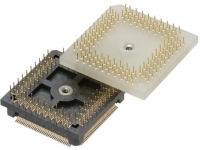 The foot patterns of each series are the same size as QFP, so emulator connectors can be soldered on the same foot pattern of QFP. The conatacts are highly reliable. Easy insertion and withdrawal is realized by means of guide pins.